Tru-Guard, 2500 lumen flashlight. Uses Cree LED powered by 9 "AA" premier alkaline batteries included. 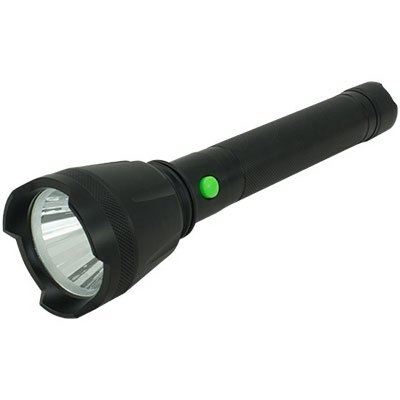 Made of durable aircraft aluminum with orange peel lens throws the 2500 lumen down range in a tight beam. Easy push high/low/off button on tail cap, knurl finish throughout base and water resistant.